(We have several showroom chairs in the Calgary area). We offer our incredible extended warranty normally at $689.00 for only $399.00 that covers for 5 years, then you get any of these parts at cost for life so we make zero profits. Cosmetic from the day you purchase the chair for life, best warranty in the industry period. We even offer replacement parts like the entire brand new massage unit with all motors, boards, gear reducers and massage hands that retails close to $1,000.00 for only $295.00. We sell direct to the public at the exact same prices as we supply retailers and it retails up to $8,000.00, in the USA this exact chair from the exact manufacturer sells for $5,500.00 USA funds about $7,000.00 Canadian. - BEST FOOT MASSAGE IN THE INDUSTRY: Triple roller heel to toes, over the top of your toes and foot airbags others just do not have. 9 airbags in each foot massager the most in the industry with another behind the heels, there is also magnetic therapy in the calves section. - INCREDIBLE BASE OF HEAD, SIDE OF NECK AND TOP OF SHOULDERS MASSAGE: Deepest 3D massage extension in the industry close to 5 inches as most are average about 3 inches. - You can save 3 massages of the chair position and massage functions so when you turn it on it returns to your favorite settings. - You can set it to give a foot/leg massage. 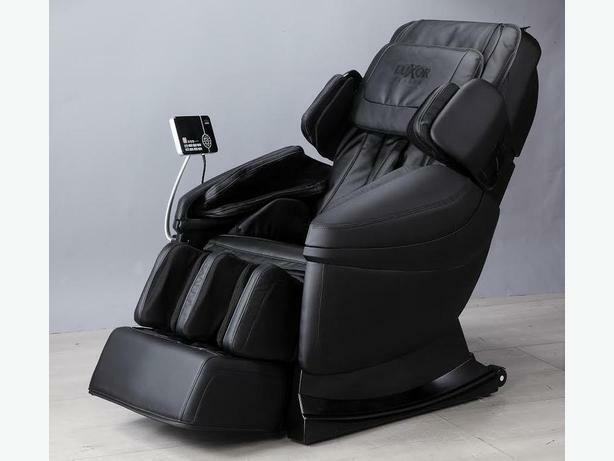 - The recline, foot and leg buttons all work without turning on the chair. - Sleep mode if the timer runs out it stays reclined till you awake. - Built in speakers with Bluetooth & a mobile app available. - $20,000.00 USA funds paid for cETLus electrical certification, as good as CSA and qualifies it for all of North America. !!!! INCREDIBLE MASSAGE CHAIR WITH A WARRANTY LIKE NO OTHER !!! !